Deionized water (also called demineralized water) is produced by removing the dissolved salt in water. Calcium bicarbonate, magnesium sulfate, and sodium chloride are the primary salts present in water. These salts cause spots and streaks on surfaces when the water dries. A deionized water system will remove these salts and produce spot free water. Wondering how to make spot free water? 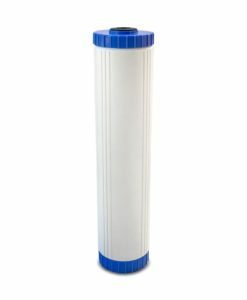 In a deionizing water filter, water is passed through an ion exchange material to remove all salt. This technology removes heavy metals too. Deionized water is as pure, if not more pure than distilled water. No chemical or hazardous waste is produced with a deionized water system. 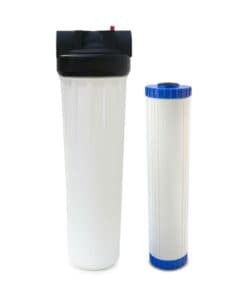 A deionizing water filter will provide spot free, deionized water for car washing and more. 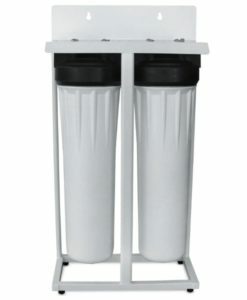 Premiere Sales carries high output, industrial deionized water filter systems that provide mineral-free, deionized water. Enjoy spot free water on autos, boats, RVs, and more. Whether you’re looking for a deionized water car wash system or a replacement filter for industrial deionized water systems, Premiere Sales has you covered. Give us a call on (800) 817-6306 to discuss the best deionized water system for your situation.